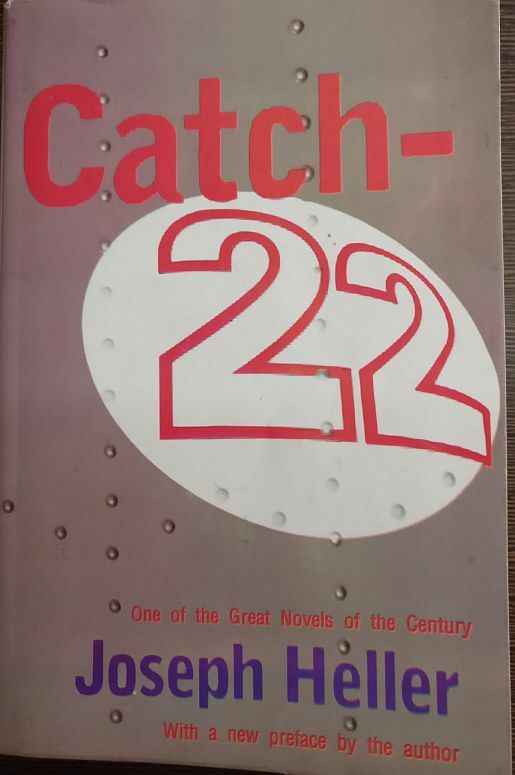 Catch 22 is an American post-war novel written by Joseph Heller. It is one of the interesting pieces of American literature juggling dark humor, war issues, bleakness, satire, silliness, wordplay and serious theme. Initially the book looks like a noose of loose strands but as the plot progresses, we find that very deftly, Heller has been able to surface the absurdity of war and the human condition itself. It is a world of madness, where each character fits in perfectly well with his personal streak of eccentricity. The obtuseness of the government, incompetence of medical establishment, the contradictory rule of military bureaucracy, no respect for individuality and futility of life are some of the recurrent themes of the novel. Title itself talks about the contradiction or logical trap, which is very difficult to converge to any point. The plot is set in an imaginary island in the Mediterranean Sea called Pianosa – a U.S. Army Air Corps bomber squadron- with World War II setting, somewhere in 1944. Protagonist of the story, Captain John Yossarian, is a bombardier stationed on Pianosa – 256th Squadron while in action over Italy. After seeing the horrors of war, Yossarian in a disillusioned state of mind thinks of leaving his job. However, the contradictory rule of military bureaucracy prevents him doing so. Eventually he finds ‘peace’ in feigning sickness and prefers to stay in hospital enjoying the ‘served’ meals right on bed. At hospital, he is given a menial job of censoring letters. This too could not hold his interest and he starts ‘modifying’ the letters with pseudonym ‘Washington Irving’. Like Yossarian himself, other soldiers too start feigning illness. Despite extensive medical testing, the doctors fail to realize the false sickness faked by men. Thus, insinuating the incompetence of contemporary medical establishment. As we move further, we find other characters equally eccentric as Yossarian. For instance, Orr, he is famously known for crash-landing on all his missions and happens to be his roommate too. Clevinger, a Harvard graduate, is constantly arguing the rights and wrongs of rules and war. Havermeyer’s only pleasure lies in shooting field mice with pistol. Doc Daneeka, the squadron’s doctor, is abnormally anxious about his own health but demeans people who talks about their own sickness, including his patients (who are feigning illness). The drunkard, Chief White Halfoat, only talks about America’s obsession with oil and his family. McWatt, Yossarian’s pilot. He takes delight in irritating him by flying his plane just a couple of inches above Yossarian’s tent. Then there is Hungry Joe, who disturbs everyone at night with his screaming nightmares even though he refuses to accept them each morning. His fistfight with his roommate’s cat is quite hilarious. Chaplain (Captain) Albert Taylor Tappman is an ineffectual and weak-willed chaplain. On behalf of Yossarian, he stands up against Colonel Cathcart and Major Major asking them to stop new missions. But as expected, it ends in an hopeless affair. Colonel Cathcart looks forward to his promotion by ‘offering’ his squadrons for the most dangerous missions possible. Instead of facing real war like situations, the priorities in the lives of commanding officers are squabbles and pointless activities. General Peckem and General Dreedle are competing with each other inanely for power. Colonel Scheisskopf’s life’s motif is to win the weekly parades to such a degree that even his wife’s sexual overtures cannot deter him. He is only concerned with fanfare than any meaningful military action. He nourishes his false ego by setting up inquiry for his personal vendetta against Clevinger and chaplain Tappman. In the subsequent development, the plot flashes back to the ‘Great Big Siege of Bologna’. The men are not interested in bombing, partially, because the area has been entrenched by Italian troops around Bologna. The raid is further delayed by rain and the food that is ‘looked after’ by Yossarian. After a couple of goof ups in Bologna, he and his friends go to Rome for some rest. Wherein, Nately one of Yossarian’s colleagues fell for a whore that he happens to meet in an apartment. And Yossarian himself is head over heels for Luciana. After returning from Rome, Yossarian again feigns sickness and admits himself into hospital, after he gets to know the raised number of more missions from Hungry Joe. In the subsequent chapters, he along with Nately, Aarfy, and Hungry Joe are in Rome. Milo Minderbinder’s syndicate or the M&M Enterprises comes into bigger picture here. He not only gets goods for American army, but also furnishes food and goods for other nations. A young gunner, Snowden’s death devastates Yossarian deeply. Eventually, he strips off his clothes and moves naked. Chaplain Tappman too undergoes crisis of faith and his desire to be liked by people in squadron. Thus, hinting different types of suffering enduring by people at war. The following pages are sodden with more unexpected deaths like that of Orr, Sampson and McWatt, Yossarian’s reckless pilot. Collision of Dobbs plane with that of Nately’s, thus killing them both. Yossarian then visits Rome to inform his girlfriend about his death. The news is too difficult for her to digest. In fact, she tenaciously follows him from Rome back to his military camp and tries to kill Yossarian to avenge Nately’s death. Apparently, she is pacified and is asked to move back to Rome. Consequently, Yossarian openly announces his refusal of undertaking any more flying missions. Captain Black informs him that the Military Police have thrown Nately’s prostitute girlfriend and her kid sister out into the streets (in Rome). 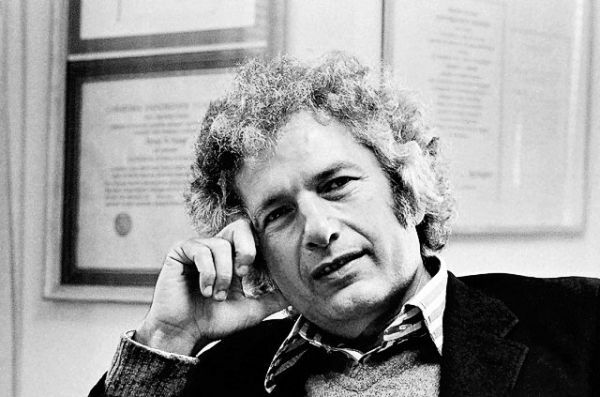 Though upset, Yossarian feels responsible for them and goes after in search for the two. He finds the city in ruins and is aghast to witness police brutality and Aarfy’s callousness towards woman he raped. Police intervenes and takes him to Colonels Cathcart and Korn. Finally, he decides not to subjugate any more from military bureaucracy, and hence, runs away from the (military) institution.